Some homeowners want more than a large open backyard fringed with flowers or hedges. Their likes and their lifestyle require them to have areas that allow various activities. They may want a place for friends to gather or a spot for the children to play. You can enjoy a range of activities by establishing unique activity zones within the yard. Here is how to get started. Measure out the perimeter of the yard space available to create the zones. Use graph paper or a software program for a landscape design to map out this area. 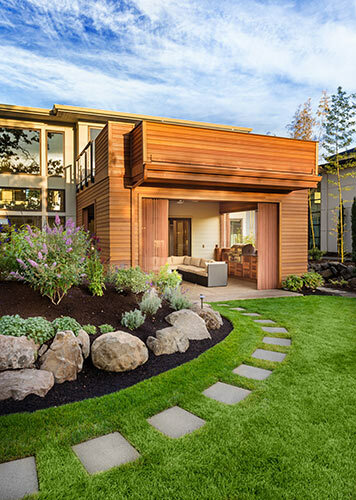 Include existing features that will remain like decks, pools, or sheds. 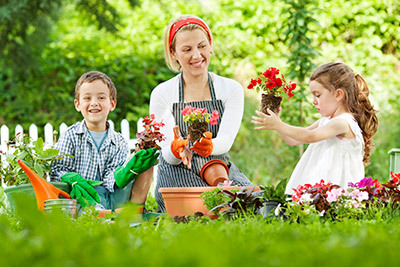 Decide what specific zones would be best for the family. Consider adding a space for a vegetable garden, a chicken coop, or an entertainment zone. After deciding the types of uses, think about everything that you might need for those zones. 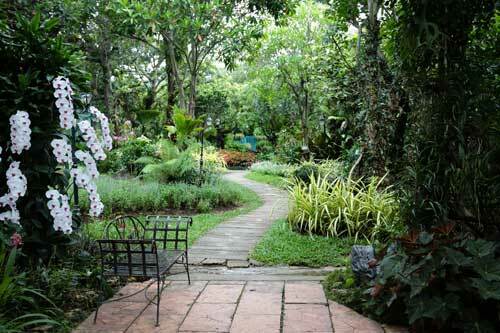 For example, vegetable gardens require room for the crops and walking room to tend the garden. You might also need a fence to keep out wildlife, and a small shed is beneficial to keep garden tools and supplies nearby. To determine the space needed for entertaining, consider the average number of guests that usually attend. Party planners use formulas to determine the venue size for the events they arrange. For example, a barbecue is like a cocktail party as some people walk around and mingle and others sit and talk while they eat. Experts suggest about 10 square feet per person at a cocktail party and at least 10 feet of space between the grill and the house or other structure. Include the room needed for tables and seating as well as for the cook to work and others to walk around the grill. Do not forget to include a place for extra features like a fire pit or necessities like garbage cans. Not every surface material is perfect for all types of use. A meditative space for reading and relaxing may be best with lush, cool grass underfoot. A play area for children needs gravel for good drainage or mulch or woodchips for soft landings. Hard pavers or concrete pads are usually best for dining and entertaining areas because they offer a firm and level surface. Also consider costs. A grass area will need water, which can raise your utility bill. Alternatively, you can remove grass and put in pavers, which will lower water costs. Allow room between each zone, so each becomes a unique space that does not blend into neighboring areas. Landscape curbing is the easiest and most attractive way to create this type of barrier. It is low, so it does not block any views, and it keeps the edges of the zone neat. 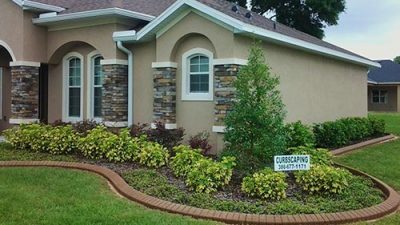 Stop grass from growing into the mulch or prevent woodchips from spilling onto pavers with the addition of curbing. Walkways connect all of the different zones. They lead people to each new section and reduce the foot traffic through flower gardens and across grassy areas. 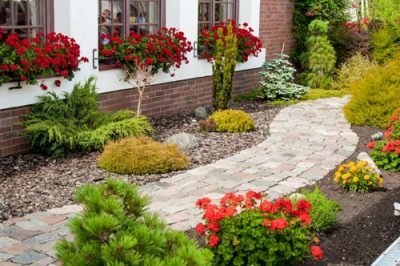 The addition of walkways, just as with the curbing, also allows the homeowner to create some interest in their yard. Curved paths through what was once a bland, rectangular yard can add softness and visual appeal. Complete the starter plan and then talk with the experts. As curb specialists, we at Daytona Classic Curbs, Inc., can help homeowners to plan out their zones carefully. Once we put the borders in place, we design each individual area. We can help to provide a curb for a single flower garden or build a large landscape of spiraling curves. Contact us to get started.